We've noticed some administrator or users received an error alert: You don't currently have permission to access this folder whey they try to access the folder or files after upgraded the lower Windows version to higher one. You can get the ideas on how to fix this error in this post. "When I upgraded from Windows 7 to Windows 8 I noticed I am getting the error, "You don't currently have permission to access this folder." when I try to open up one of the larger size folders from the external drive. I noticed the drive is set to read-only, and when I try to uncheck the box and click apply it is always turned back on when I check properties again. " --Asked by ZNET from Microsoft Community. You'll find more questions related to you don't currently have permission to access this folder error from Microsoft Community. According to their post, the error generally occurred when they upgraded the lower Windows OS to latest Windows version. Such as, upgrade from Windows 7 to Windows 8 or upgrade Windows 8 to Windows 10. Why You don't currently have permission to access this folder occurs ? 1. Removal of a user or group from "Group or user names" on the folder's "Security" tab. 2. Application of an explicit "Deny" to the user or group. 3. Conflict between the share permissions and New Technology File System (NTFS) permissions. Don't panic if you are happen to occur this error. Today is this post, we'll show you how to fix you don't currently have permission to access this folder error step by step from Windows 7/8/10. How to fix you don't currently have permission to access this folder error? 1. Right-click on the folder to and then choose "Properties". 2. Turn to "Security" tab and then click "Edit" under Group or user names. 3. Select "Add"> type "everyone" > click on "Check names" > "OK". 4. Under "Allow" section, choose "everyone". 5. Select "Full control" under permissions for everyone > "Apply" > "OK". After that, you are able to open the folder from PC, USB, pen drive or external hard drive successfully and find out the "You don't currently have permission to access this folder" error has been fixed. Lost data due to you don't currently have permission to access this folder error and the chapter one solution doesn't work to fix the permission error? 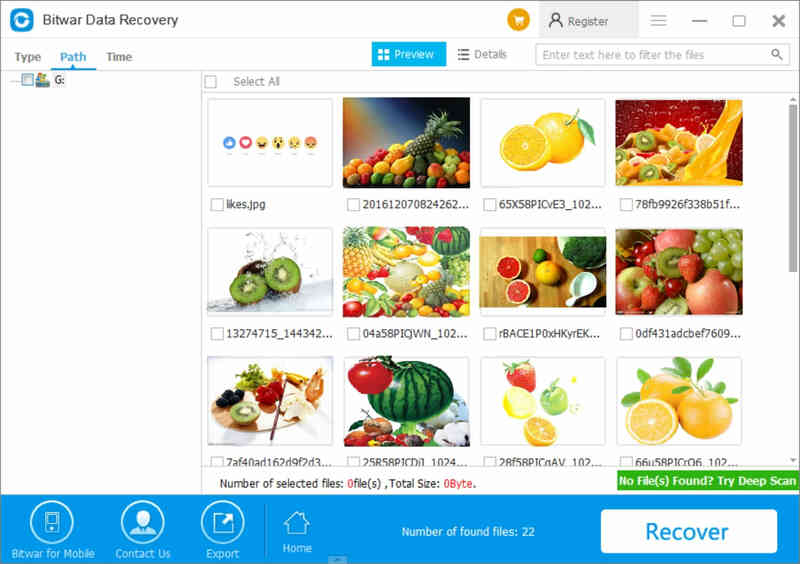 You'll have to rely on third-party data recovery software to solve the problem on your Windows PC, and Bitwar Data Recovery is my recommendation, it supports to recover data from hard drive, pen drive or external hard drive with easy-to-use interface, any of the newbie can use it without further computer skills. Step 1. Download Bitwar Data Recovery tool and then install it on different partition or drive to avoid further data loss. Step 2. Launch the program and select the drive where has you don't currently have permission to access this folder error, click Next to continue. Step 3. Select the Quick Scan and then select all types of files in the next Move. Step 4. Click Scan to let the software starts to search all existing files on the disk. Find this folder on the left PATH panel and then double-click the files to preview. Tips: You can also turn to PREVIEW tab to generate thumbnails for each file to check whether the file can be previewed or not. Step 5. Click on Recover after selected all of the files can be previewed and then save to different drive or partition to avoid further data loss. If you are having problem while attempting to access the folder and suddenly occurs with the Windows report: you don't currently have permission to access this folder, on the first go, you should add the everyone permission on the security tab to find out whether the folder can be opened or not. If add permission move cannot work to solve the issue, you can try to use Bitwar Data Recovery software to recover data from your PC, hard drive, USB flash drive, pen drive or external hard drive which has the permission error.